Bill needs one of those 25,000 dollar checks in order to give him an incentive to beat WVU at Morgantown. Maybe that will work since nothing else has worked. @wissox I wonder what would happen if someone dangled professional pride in front of him? @nuleafjhawk OOOH, I think he has plenty of that. Part of his problem in Morgantown is that he keeps running Into a Hall of Fame coach with over 800 career wins. @Blown I respect what Huggins has done as a coach, but he’s not the reason that KU only gets to the FT line 15 times. And only makes six. SIX. He’s not the reason that we get out rebounded. It’s the players. Theirs were up for the game and ours obviously were not. They wanted it worse. Does anyone keep track of “floor burns”? I’ll bet if they do, we lost that battle last night. I mean, it’s not the end of the world - we’re still 18-2. We’re still in first place in the Big 12. But it ticks me off losing 4 years in a row to anyone. And to reiterate what i’ve been harping on all season long - free throw shooting is what will keep this team from going deep into the tournament. @nuleafjhawk we are 0-4 our last 4 trips out there. What’s been the constant ? Huggins. We lost last night because he runs 11 guys non stop and gases our 7. Even if we shoot 100% from the line, we still lose. @Blown So every win or loss can be directly attributed to the coach? That’s one way to look at it. I’ll chime in here with a topic I’ve raised quite a few times … the press break. Clearly we were not rattled by the press too much. We only had 13 turnovers. But we broke the press … with a yawn. When you face a pressing team, you have to make them pay. Self has said that before. You have to attack, Sure, you can win just being satisfied with breaking it and matriculating the ball down the court. That can happen. But as in prior years, our issue is how passively we deal with the press. We let WVU dictate pace. We let WVU slow us to a crawl getting up the court most of the time as opposed to smashing that press into oblivion. How many quick press break buckets did we get? We have four guards on the floor and we don’t attack? We have four ball handlers on the floor, all of which are better ball-handlers than the press disaster we had on the floor the past few years (Selden). Good grief. We let the ball bounce around after a made basket until the man designated to throw the ball finds his way there, as opposed to the closest guy get it, throw it in, and attack. When you attack, you will have more turnovers. But if you attack, and throw it away, you have a few clicks off the clock. A missed shot sends the ball the other way, too, but you lose time on the clock. We’re the better team. The more possessions, the more likely we are to win. Attack. You want one of the answers, that’s one of the answers. It heightened when you play in their environment. And, of course, if you don’t practice attacking, it could get ugly too. But this sort of test is something one might see in the NCAA tourney on a short turnaround, one to be ready for. To be sure, that wasn’t the only issue last night. It’s just a reoccurring theme against the press. @nuleafjhawk yes, I would say most are. I’m not a big fan of superlatives like always, never, every, though. @HighEliteMajor It did seem to me that we tried to attack a little bit. Then after the ball got swatted away several times or someone (usually Frank) got knocked to the floor without a whistle being blown it was like “OK, let’s just throw up a 3 and see what happens”. @nuleafjhawk Well those certainly going to be one of the reasons if we don’t for sure, that and the ability NOT to be able to stop ANYONE of the dribble drive, wide open layups like the parting of the great sea when they go to the hole this is getting pathetic, and I agree Huggins is a good coach but it’s the players that have to man up and decide enough is enough, this has been going on all year with the drive - like you said were still 18-2 but they have got to get this corrected. @nuleafjhawk huggs said in post game that they wanted to take away what we do best, transition bb. We blew so many obvious opportunities against the press when we did beat them down the floor. Frank missed an unguarded layup, JJ clanks a dunk, Lightfoot tried a circus shot, etc. Saw a stat that Jackson gave up 29 points on 19 possessions. Looks like he wad scouted well. I noted in post game when Huggy was asked about him he went out of his way to say several times that he is a heck of an athlete. Never said he was good at any basketball aspect which i found interesting. @Crimsonorblue22 Yehaw. The drunken hillbillies can probably make some noise, for sure. Isn’t their fight song “Dueling Banjos”? @Crimsonorblue22 I’m glad we don’t ever try to attempt stupid stunts like that. Blue bloods need to act like blue bloods or else they can stop being in the blue blood club! The title of this post made me think - the first time I heard about the 25k thing i thought " Bob Huggins must have no class if he accepts this bribe ". I guess I was right. Maybe all of college basketball should re-vamp the way they pay their coaches. Self would have to take on a part time job to make the house payment. 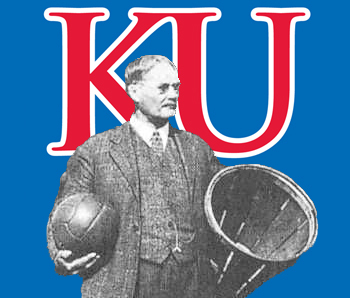 KU would offer - what? - 47 bucks to beat K-State. $104.12 to beat Texas (most years - $35.82 this year). If i were a coach it would tick me off to be told to beat a particular team - i want W’s for every game. Pride in coaching and winning should be enough incentive. Maybe a hike for winnning “X” amount of games, for winning a Conf. Championship, for making the NCAA’s and so on - but for beating Kansas? What a bunch of pussies. I think KU would have much better luck dangling $25K in front of the refs so they just call the game even. @JayHawkFanToo Well, how much of Huggins $25k is left after the ref’s get their cut? @nuleafjhawk he does give it to cancer in his moms name. If Coach Rat Face can pay the refs to give him the edge, one would think it is legal to pay them just to do their %^&%$ job. I think we were fine offensively. I didn’t have a problem with how we broke the press. I think our problem was interior defense. Maybe that was because of the refs? Maybe it’s because Svi doesn’t know how to box out? Maybe it’s because Bragg is still a much better HS basketball player than college? We have so much work to do on defense, it’s not even funny. Self had to switch to zone defense, and we still had a hard time stopping them. WVU stopped pressing midway through the first half (or somewhere around there) because we WERE attacking the press. Not perfectly, but at least effectively. @Crimsonorblue22 Thanks - that does make me feel better. @chriz Well, I thought the first few possessions where we switched to zone were very effective. Not sure how many. That is when we went ahead. But…WVU certainly adjusted and had some successful offensive possessions. Then we just, in my mind, gave up.